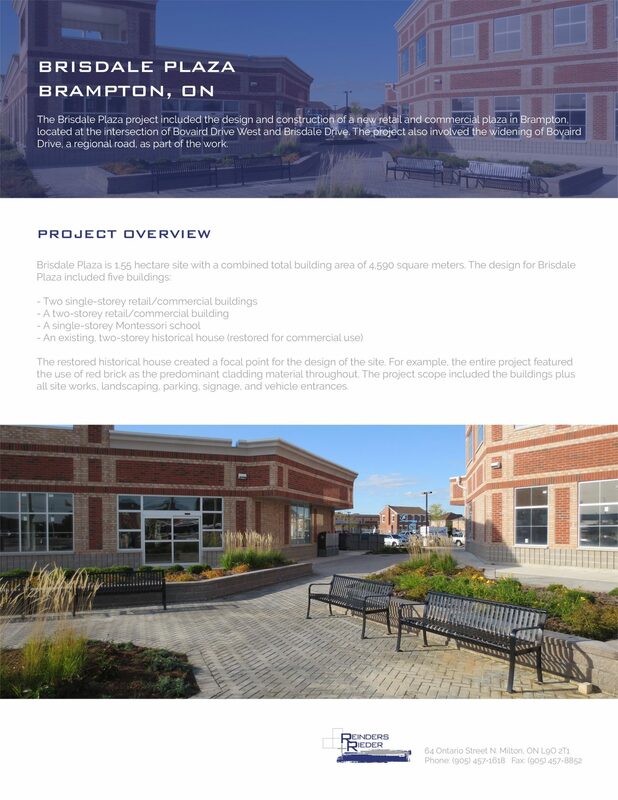 Brisdale Plaza | Earn Project | Reinders + Rieder Ltd. 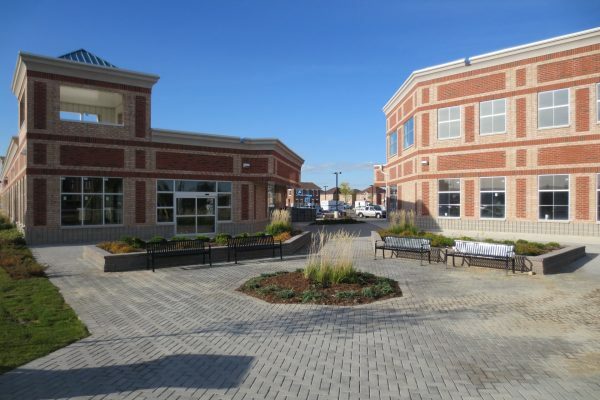 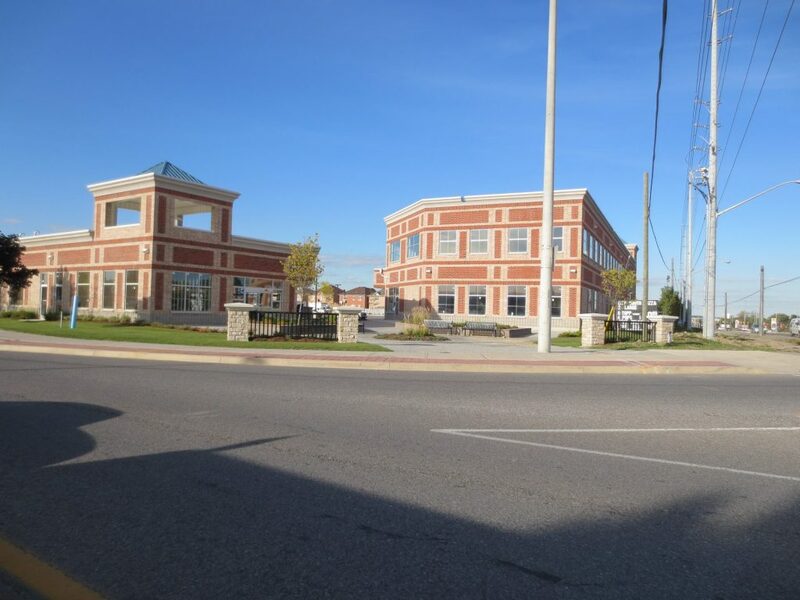 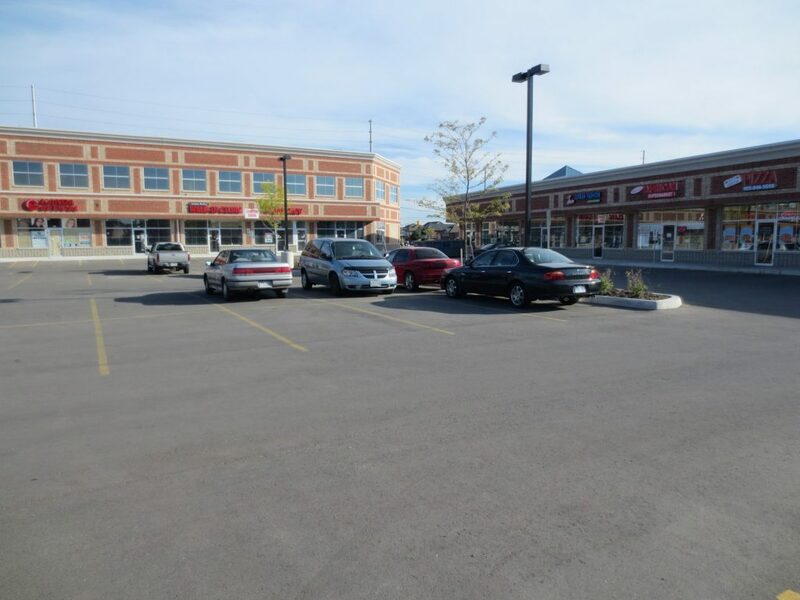 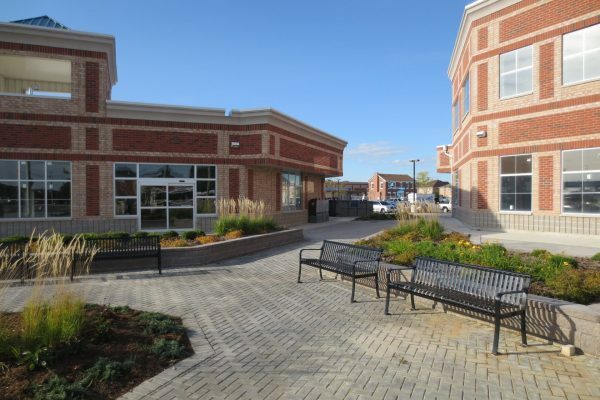 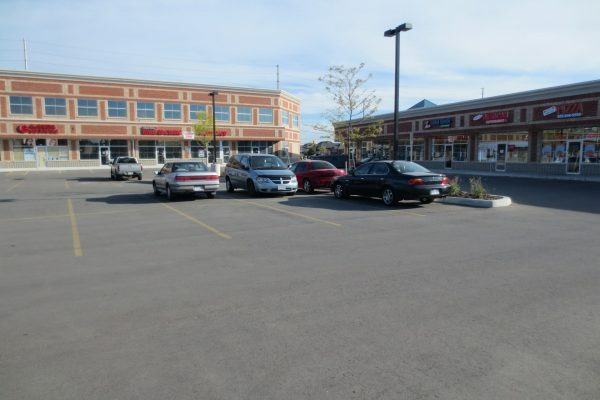 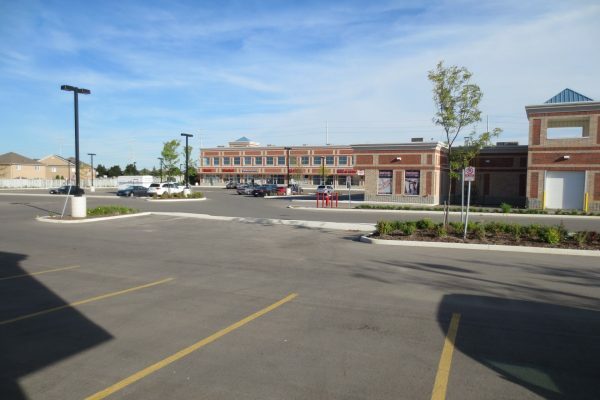 The Brisdale Plaza project included the design and construction of a new retail and commercial plaza in Brampton, located at the intersection of Bovaird Drive West and Brisdale Drive. 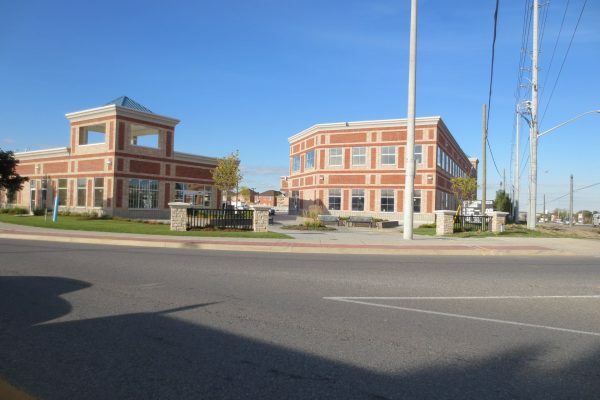 The project also involved the widening of Bovaird Drive, a regional road, as part of the work. 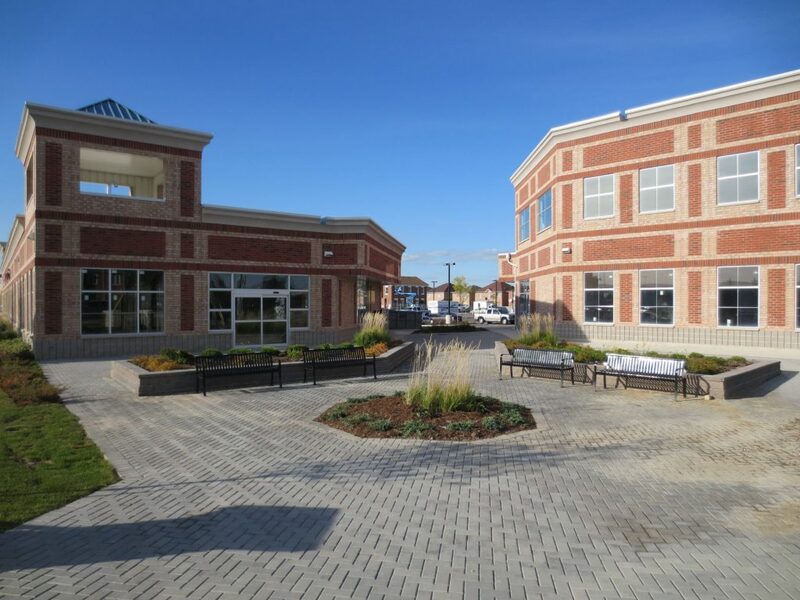 The restored historical house created a focal point for the design of the site. 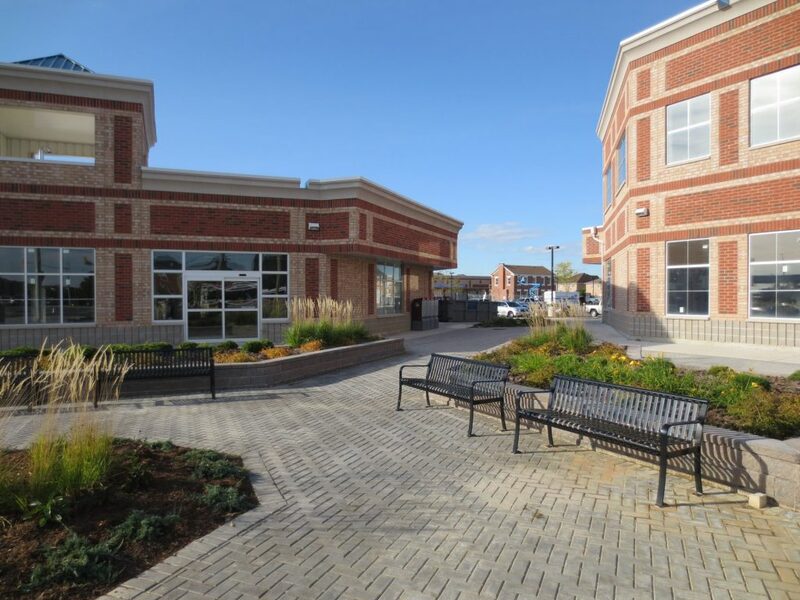 For example, the entire project featured the use of red brick as the predominant cladding material throughout. 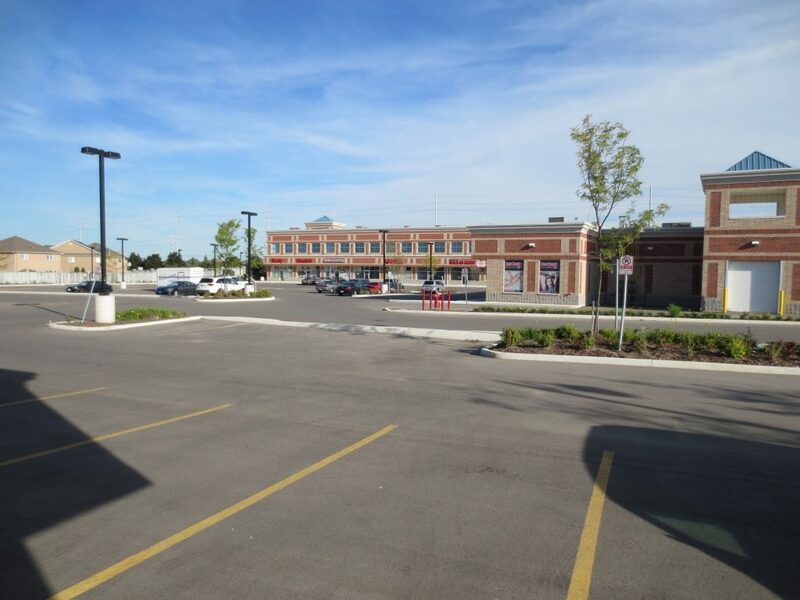 The project scope included the buildings plus all site works, landscaping, parking, signage, and vehicle entrances.